Go Wild On Your Wheels! With the UK having recently hosted arguably the most successful Paralympic Games in history, wheelchair users all over the country have been inspired to get active. Whilst traditional wheelchairs aren’t usually sturdy enough to withstand the rigours of outdoors activities, there’s new technology available which transforms manual chairs into powered off-road trikes, offering individuals the chance to access more rugged terrain. So with this in mind, here’s some ideas for some different days out that you might not previously have considered. The UK Wolf Conservation Trust in Berkshire offers visitors the chance to get up close and personal with the furry beasts that have such a bad reputation. A not for profit organisation, the centre does not operate as a zoo but instead runs several ‘wolf walk’ days throughout the year, some of which are specifically designed for those with mobility difficulties. Starting in the education centre, visitors will then get the opportunity to first see the 12 wolves in their spacious enclosures before getting to meet two or three and have actual contact! Handlers will be present at all times and things will move quite slowly to ensure the wolves feel comfortable with you. The centre is based on a farm and whilst it caters for those in a standard wheelchair with accessible toilets and building, the grounds are far from easy to navigate. With muddy grass and stony paths, not to mention a significant slope, users in a manual wheelchair might find it difficult to get around without help. However, using a chair specially designed for less accommodating terrain (such as the Viper Power Trike from http://www.steeringdevelopments.co.uk/) will allow you to remain totally independent both up and down hill as well as across the long grass. Fans of Formula 1 will be familiar with Silverstone, one of the most famous racing tracks in the UK. And whilst you may have been lucky enough to have been to see a Grand Prix, experiencing the roar of the engines mixed with the heady smell of hot oil, you might never have seriously considered taking a spin around the circuit yourself. However, Silverstone offer Driver Experience Days which includes vehicles that can be adapted for those with a disability, such as fitting hand controls. Cars on offer include the Audi R8, Nissan GTR and the Ferrari F1 430 Modena. However, if you use more personal and customised steering controls such as SDL joystick steering or an infra-red bleeper system (both available from Steering Developments) you can still experience the thrill of burning rubber by taking your own vehicle for a spin around the track. Alternatively, if you don’t fancy risking life and limb by pushing your own driving skills to the max, you could opt to be whizzed around the three mile circuit by professional drivers, giving you a taste of what it feels like for Michael Schumacher and co. Whichever option you go for be warned, it’s an addictive experience! Hidden away in the depths of a Snowdonian forest lies Aber Falls, an ancient site which has previously yielded evidence of human life dating back to prehistoric times. 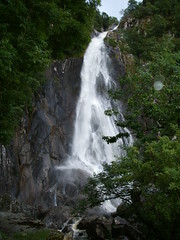 Lying in Abergwyngregyn on the North Wales coastal area, Aber Falls are a spectacular sight at the end of a gorgeous walk through a plantation which passes through beautiful natural landscapes. The kissing gates along the route are large enough to allow wheelchairs to pass through and in other areas; wider gates can be opened with a RADAR key if they are locked. The upper car park along the route has an accessible picnic table for wheelchair users whilst the path itself can be accessed more easily slightly further along close to the lower car park. But whilst the walk is said to be suitable for wheelchair users, it should be described as challenging at best. The woodland is owned by the Forestry Commission and the route has a rustic charm, but this means that much of the path is bumpy with a rough surface. There are also some rather steep climbs along the way. 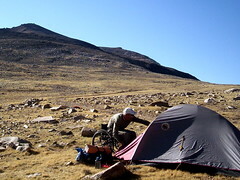 Individuals attempting the route in a manual wheelchair may find it almost impossible to navigate without assistance, especially after bad weather. However, using a wheelchair designed for off-road experiences will make the hike far more enjoyable and give individuals the freedom to tackle the challenges without aid. Despite the challenges along the way, it is worth making the effort to arrange use of an off-road chair as the Falls are simply stunning and there is a good chance of seeing wildlife along the way. There are also several viewpoints which you will pass en-route which deserve a few moments to stop and admire the scenery. The above are just three ideas of some more adventurous days out which would not be possible, or would certainly be far more difficult, without the use of special adaptations. Steering Developments offer a range of services to make life more accessible, including adapting your vehicle as well as different types of wheelchairs from basic electric packages right the way up to the Viper Power for adrenaline junkies! And if you only need a vehicle occasionally, it is also possible to rent a specially adapted Chrysler Grand Voyager. So, there really is no excuse not to get out there and enjoy everything there is to see and do! An article by Samantha Wood who enjoys wild crazy adventures herself.